( There are no attainment targets for KS1 PSHE. We have used the end of key stage PSHE statement to guide the objectives) More info on how we set objectives see The VisiAble Method. Learners are taught to celebrate the difference in people by recognizing the different qualities that each person has. Gender identity and gender roles are explored by looking at the stereotypes associated with boys and girls. 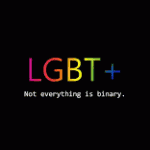 For more info on gender and definitions go to LGBTalk.